Boreal, Soda Springs are two of the many Tahoe ski resorts that offer discount lift tickets for the remainder of the 2018-19 season. There’s still plenty of time to take advantage of the deals at Boreal and Soda Springs because there’s still a month or more left in the 2018-19 ski season. Boreal Mountain has “Feel Good Fridays” where it offers $25 lift tickets to all guests with $5 going to local charity. 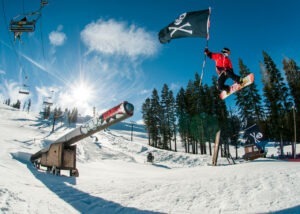 Season pass: The resort, located off Highway 50 heading into South Lake Tahoe, is offering the Value adult season pass for $319 and the Unlimited pass costs $369. All “benefits” begin at the start of the 2019/20 Season unless stated otherwise. Click here for details. When purchased online, the savings of an adult lift ticket at Homewood Mountain dips to as much as 55-percent online – $49. Season pass: The pass went on sale March 11 and is good for the remainder of this season (April 21). Get more information here. If you’re looking for a family-friendly ski hill with gorgeous views of nearby Lake Tahoe, Diamond Peak is a great choice. It’s located in Incline Village in North Lake Tahoe and has a homey atmosphere and doesn’t get the crowds that often flock to the larger Tahoe ski resorts. If bought online before midnight the day before, the savings is $5 off Diamond Peak’s already low normal prices for a single-day lift ticket. Click here to view adult lift tickets in March for $84. Season pass: The 2019-20 season passes went on sale March 15 and will allow access the rest of this spring and all next season. Click here for more information. Season pass: In addition to season passes at Sugar Bowl, season pass options for Royal Gorge Cross Country began March 18 starting at $199. Click here for more details. 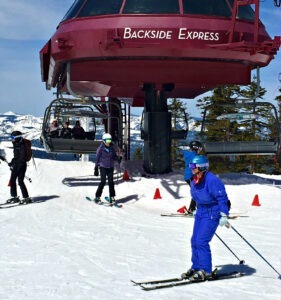 The best way to purchase day tickets at Northstar California is buying online. 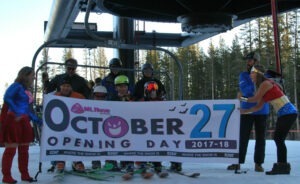 Traditionally the first Tahoe ski resort to open for the season, Mt. Rose offers a “Two for Tuesday” special – providing two lift tickets for the price of one.